PDXpert software assists compliance with ANSI/ISO/ASQ Q9001:2008, including earlier versions and related standards of the ISO 9000 series. For brevity and to respect copyright, the relevant requirements have been paraphrased; refer to the ISO 9001 standard for precise requirements. Clause 4.2.3 Documents must be (a) approved prior to use; ... (c) identified by revision status; (d) available where needed; (e) legible and identifiable; (f) managed regardless of source; (g) withdrawn when obsolete. Documents are approved using a flexible change workflow that ensures proper identification and revision control. All document revisions are clearly managed as pending, released or canceled, and changes to this status occur only upon completion of a change workflow. Physical document dispositioning tasks, such as delivery of new releases and destruction of canceled revisions, can be defined in the implementing change form. Clause 4.2.4 Records must be controlled to ensure they're identifiable, legible and available. Record file attachments may be added to their related items by the item trustee or analyst. Or, a distinct Record document type can have its own attributes, file attachments and approval workflow. An expedited change workflow can ensure records are reviewed, accepted and locked from further modification to become a permanent history of actions supporting the QMS process. Clause 5.4.2 Changes to the quality management system (QMS) must be controlled to ensure continued system integrity. Create and manage ISO documentation using PDXpert document types, revision management and change workflow. A separate QMS-related change form can reflect the unique approval requirements of your ISO procedures. Clause 6.3 Provide information systems resources to support the QMS and meet customer requirements. In addition to committing human and other resources for ISO 9001, implementing PDXpert as your QMS information infrastructure demonstrates your organization's commitment to efficiency through automation. Clause 7.2.1 Identify customer, regulatory and organizational requirements for the product. 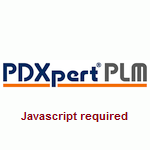 PDXpert can manage each approved revision of a requirements document. In addition to internally-developed requirements, PDXpert lets you identify external sources (e.g., customers and regulatory agencies) of requirements using those sources' proprietary document identification. These documents can be linked directly to the affected product, and revisions are managed using a change control process. Clause 7.2.3 Publish product information to customers. PDXpert can identify and control customer-facing materials such as marketing & sales literature; specifications; installation, operation and maintenance guides; and other information. For very specialized products, customers can receive email notifications as product information is revised. Clause 7.3.2 Identify requirements for the product based on functional, performance, regulatory, historical and other relevant design and development inputs. Third party documents such as industry standards and regulatory requirements may be imported into the file library and managed using review & control procedures similar to internally-developed documents. Broadly applicable requirements (e.g., plating specs, packaging standards, test procedures) can be easily managed as a single document instance yet related to multiple products. Clause 7.3.3 The design activity outputs must (a) meet the input requirements; (b) address acquisition, production and service needs; (c) identify acceptance criteria; and (d) define safe and correct operation. The PDXpert product structure is both a bill of materials and a document tree. Design outputs, such as product assemblies, can directly reference functional and performance requirements, purchase specifications, work instructions, service procedures, test & inspection procedures, and end-user installation and operation guides. Clause 7.3.4 Design functions' representatives evaluate development progress, identify risks to meeting requirements, and initiate design revisions. Flexible approval workflows allow for individuals and design function groups to participate in the review process. Clause 7.3.7 Design changes must be identified, reviewed, and approved. The impact of such changes on related items must be assessed. A complete Affected Items list on each change form allows reviewers to "drill down" into each item, and examine revisions in terms of production attributes, document and part relations, electronic file attachments, and other attributes. Impact assessment may include multiple dispositioning instructions for each affected item. Clause 7.4.1 Purchased items must have documented requirements, and suppliers must be qualified to meet those requirements. Each item in PDXpert has a (1) Structure list for documenting its functional and performance requirements; and (2) Source list that allows one or more qualified supplier items to be identified, ranked and controlled. Source items include the full set of item attributes including supplier, item number, revision, lifecycle phase, materials, cost & ordering attributes, and specification files. Clause 7.5.1 Production and service tasks must use documented assembly, inspection and servicing procedures. Specialized change forms can be defined with their own workflows and approval lists to control production and service procedures. Clause 8.3 Product nonconformity must be eliminated, authorized, prevented from use, and/or its effects mitigated. New change forms can be defined within PDXpert, including stop shipment notices, deviations and waivers, each with their own reviews, observers and workflow. Affected parts listed on change forms can include disposition instructions (with quantity, cost, current location, assignee, etc.) for rework, return to vendor, user as-is, and similar tasks. Clause 8.5.2 Corrective actions for nonconformance must be recorded and changes approved. Problem Sources may be used to classify how the basis for the corrective action was discovered (customer complaint, service records, quality audit, etc.). Clause 8.5.3 Preventative actions for potential nonconformance must be recorded and changes approved. Change Reasons may be used to classify why the preventative action is taken (cost reduction, part availability, interface compatibility, etc. ).